Your melancholy is about to be brought to an end! Amaze your friends with Nigel's grinning face. 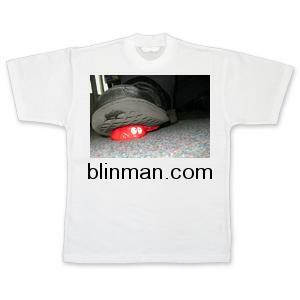 This is one of the designs for the blinman.com T-Shirt. Other designs are being exhaustively tested by a team of researchers. We are also working closely with a number of suppliers to ensure quality that Nigel himself would be proud of. 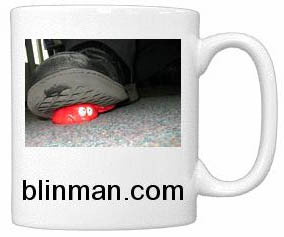 How will your colleagues ever respect you without a fabulous blinman.com mug? Coffee consumption will never be the same again. 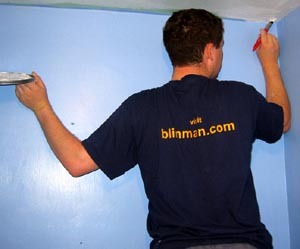 Whatever you are doing, a blinman.com T-Shirt can advertise the site. Don't get paint on it like this fool though! 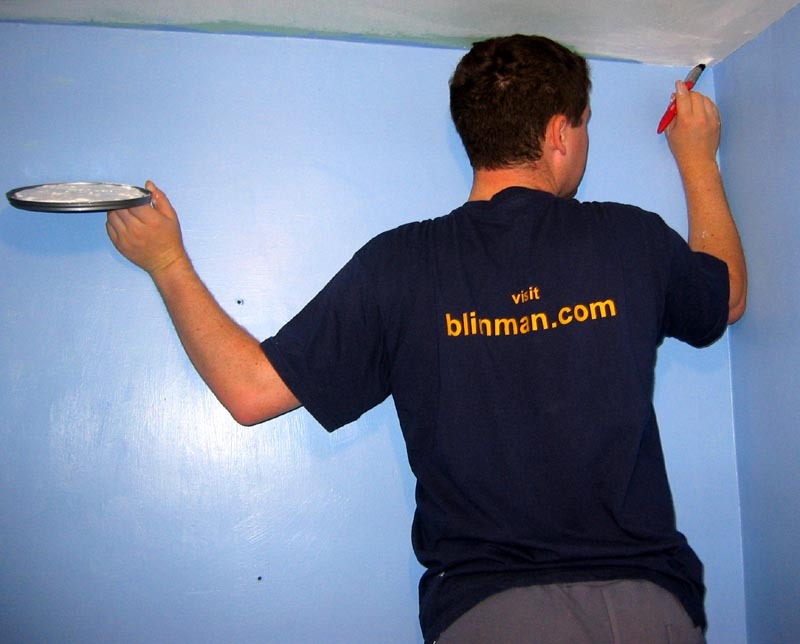 If you are interested in one of the first batch, or have a design suggestion (such as your favorite 'hate') email us tshirt@blinman.com. 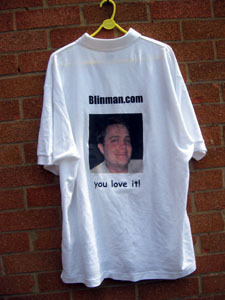 You can be sure that these T-Shirts will end up as pule auctions on Ebay!